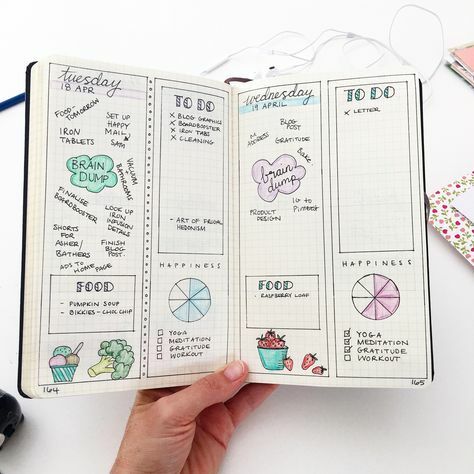 The daily spread or layout of the Bullet Journal can be used to setup and create your day. 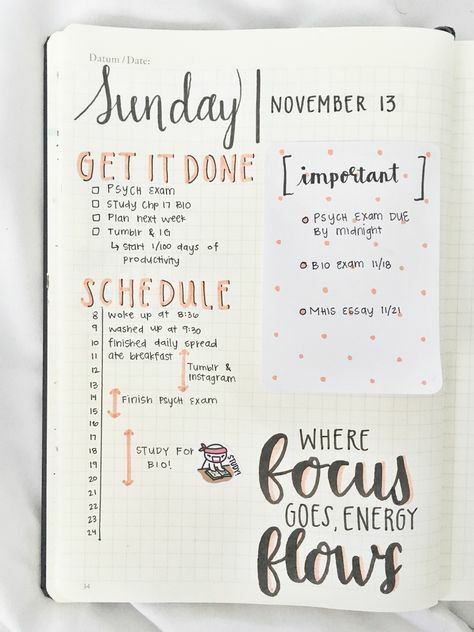 If you don’t write down what you need to do each day along with all you want to achieve, it is easy for the day to slip away without getting much done. 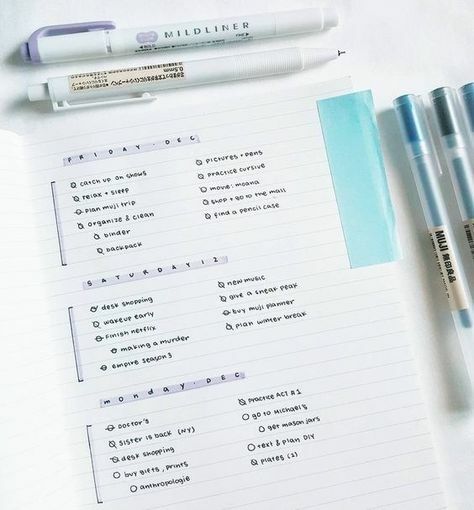 Start off each day by setting up your daily spread and writing down everything to be done that day. You can do this the night before, or first thing in the morning. Refer to your monthly layout and any other pages to bring together all appointments, forwarded tasks or other items. You can then list out any other tasks for the day e.g. 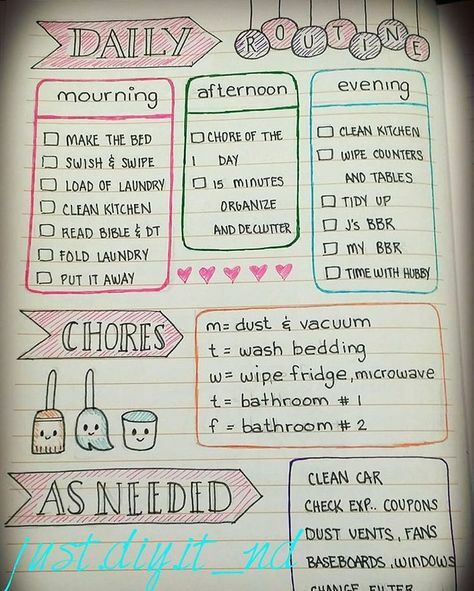 what you are cooking, chores, daily habits that need to be done. Nothing is too menial to include if it is part of your day. The daily spread can act as your to-do list and is an excellent way to know what to expect each day. It is also a way to record what happens during the day – the weather, food, water, habits, gratitude, mood – or whatever you would like to remember. 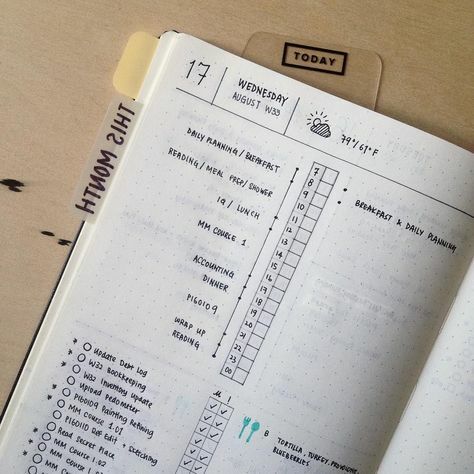 When it comes to how the daily layout looks, it can be as minimal or detailed as you need. I would suggest trying different layouts and finding what works for you. 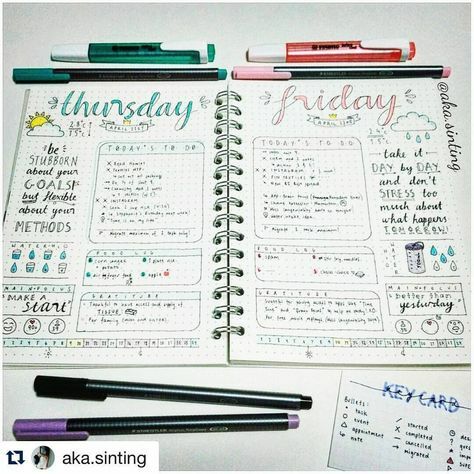 It is very common for bullet journal fans to continually tweak and change their daily layout. Here are some ideas for inspiration. Lots of decoration and elaboration isn’t always required. If you want a layout that delivers your task list in one easy glance, then keep it simple. It can still be beautiful. 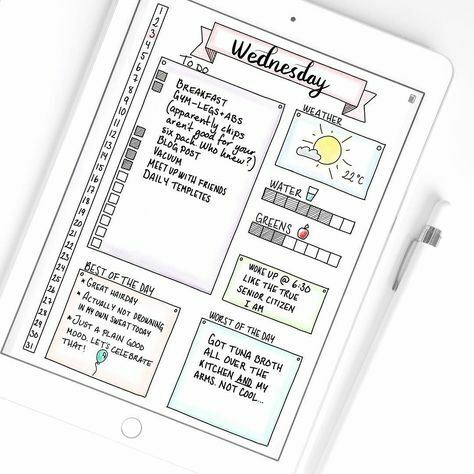 The daily spread is the perfect place to track many things including habits, the ‘good and bad’ of the day, food, weather and lots more. If there is anything you want to track daily, make room for it here. Having a daily brain dump section means you can jot down anything that pops into your head during the day. When you sit down to prepare the next day, you can move tasks to where they will be actioned. Create sections for work and home to keep the tasks separate. 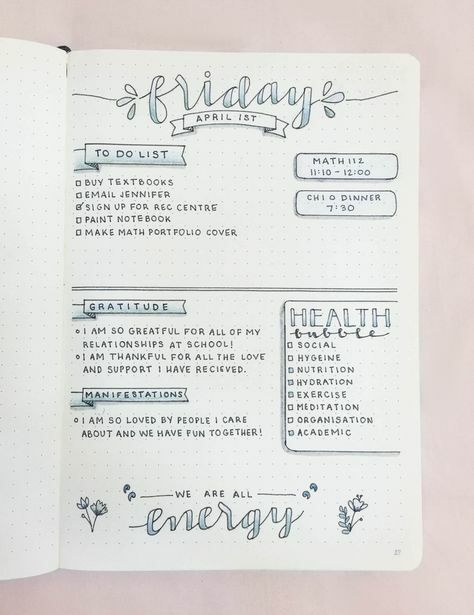 Simple notes and statements included in your daily bullet journal can go a long way to uplifting your mood for the day. Include a gratitude section, quotes, anecdotes and anything else that will help make the most of your day. If you need to keep a track of appointments, meetings and events, add a daily schedule. 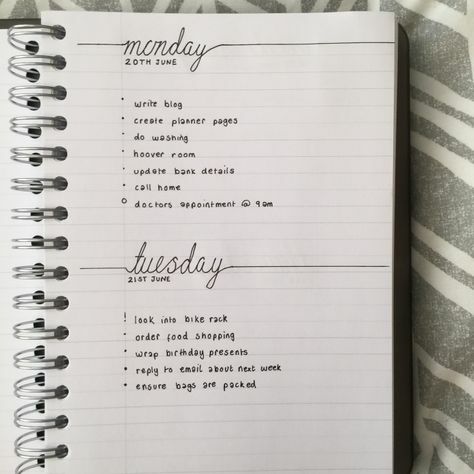 Setup your daily routine and check it off as you go. 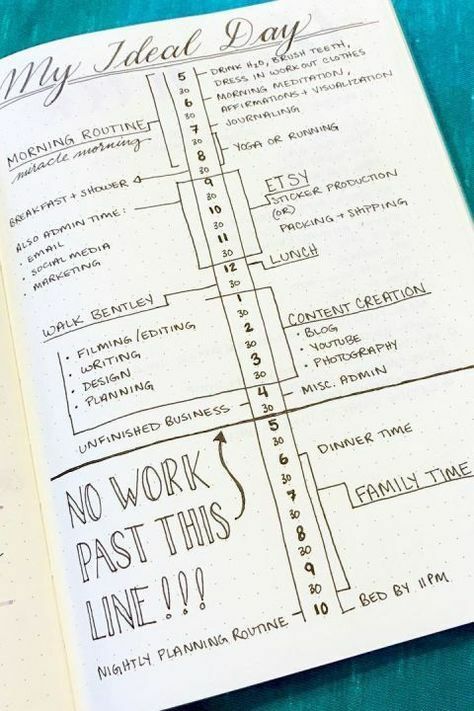 This is not only great for keeping track of daily chores, but other routines and regular tasks as well – exercise, food preparation, work, family. 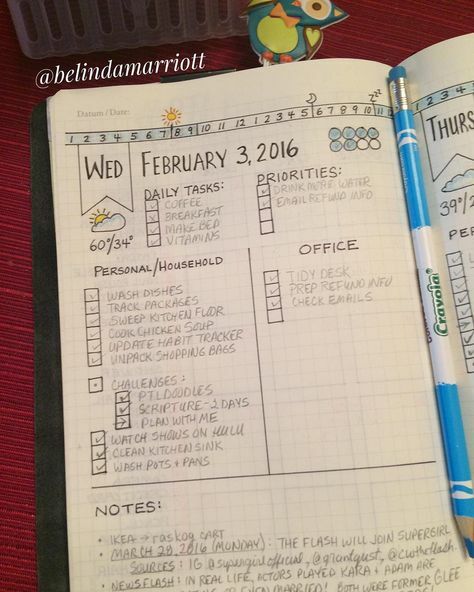 You will be super organized with all your important regular tasks. 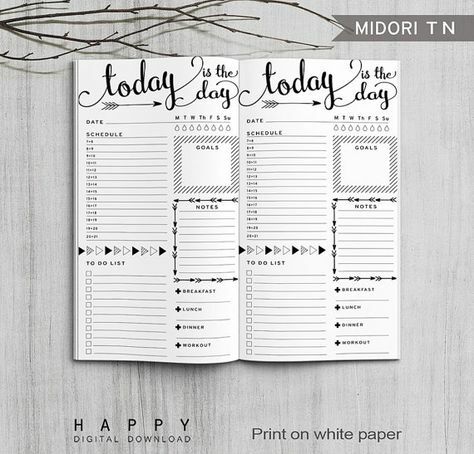 Taking the daily routine one step further, plan your ideal day as a daily guide. 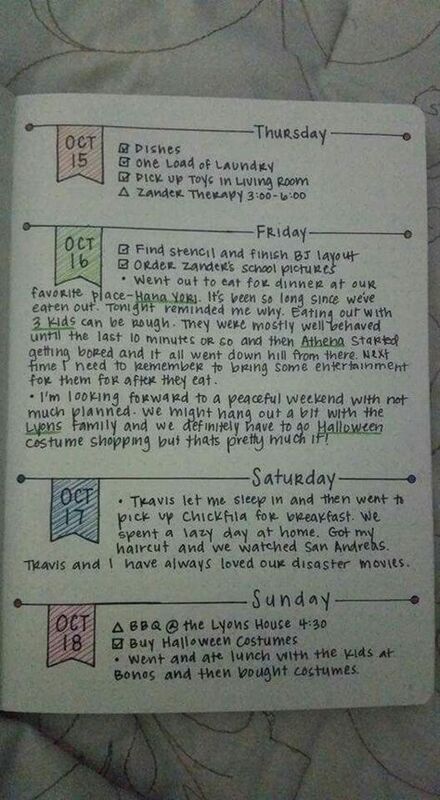 You can plan ahead with your bullet journal, but you can also look back and keep a record of your day. One or two bullet points is all that is needed. Use these daily spread ideas to get you started. But remember, there is no right or wrong way to set them up, so be creative and make your days more productive.